An industry professional conference can be a great way to meet new people, receive updated education and information on the status of the industry, and even have a good time. 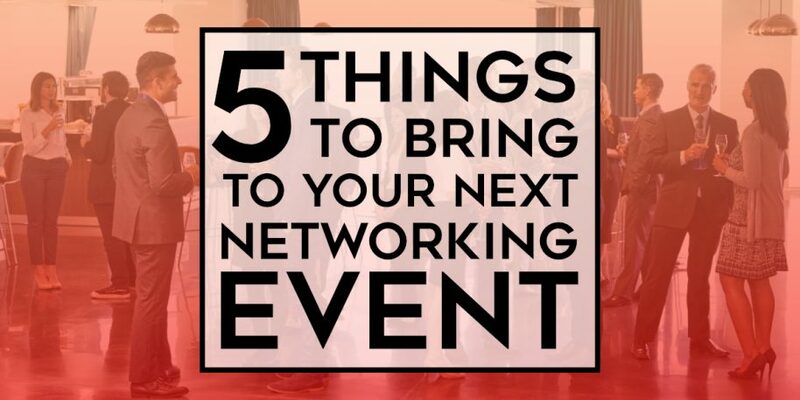 To ensure that your business networking goes as well as possible, there are several items that you need to be sure you bring to your next conference. Before you attend any business conference or networking event, do an attitude check. There’s nothing worse at a business event than someone who has a sour attitude. With confidence, you don’t even have to remember to bring the other items mentioned here to your business networking event and you’ll still sail through with colors flying high. When you are looking to go to a meeting, the first thing that you need to bring is your business cards. Meetings are more valuable to those that are good at networking. To ensure that you are remembered, and are able to build lasting connections, you will need to have at least several dozen business cards. It is important that your cards are updated with the latest contact information, title, and other personal information. You should also bring some form of carrier to hold the cards and to hold on to cards that you receive. Name tags are also a good thing to make sure people at the conference know who you are when speaking with you. Another thing that you will need to bring to your next conference are industry reports and other reading materials on the status of the market. Prior to attending any conference, it would be wise to be current on all of the industry changes. This could require you to see briefing reports, read finance reports by top companies in the industry, and review any other material that will help you be more knowledgeable about what’s occurring. This will help you be much more productive in meetings and during conversations. When you are attending your business networking conference, you should also bring plenty of signage and marketing materials. While meetings are a great way to meet new people and learn more about the industry, you should also use it as a chance to market your business. You should look for ways to hold a table during a conference, have strong signage with your company logo, have a one-page fact sheet about your company and have other fun items to act as giveaways. When you are attending a conference, it is also important that you look your best. In most cases, you will want to bring a mix of formal and business casual attire. It is also important that you check with the conference to understand the dress code and to try and match that request. In conclusion, conference meetings are great events that provide visitors with a number of different amenities and opportunities. When attending one of these conferences, there are several things that you should bring to ensure it goes as well as possible.